Welcome back to our spring book study. Before we dive into section two, take a moment to reflect on how section one influenced your decision making about your “stuff” this past week. Were you less inclined to accumulate? Can you see yourself letting some things go? And most importantly, did you discern a detachment from the material influencing your decisions? This isn’t going to be an overnight change for anyone but if we start to change our mindset, the rest will start to fall into place. So on to section two. 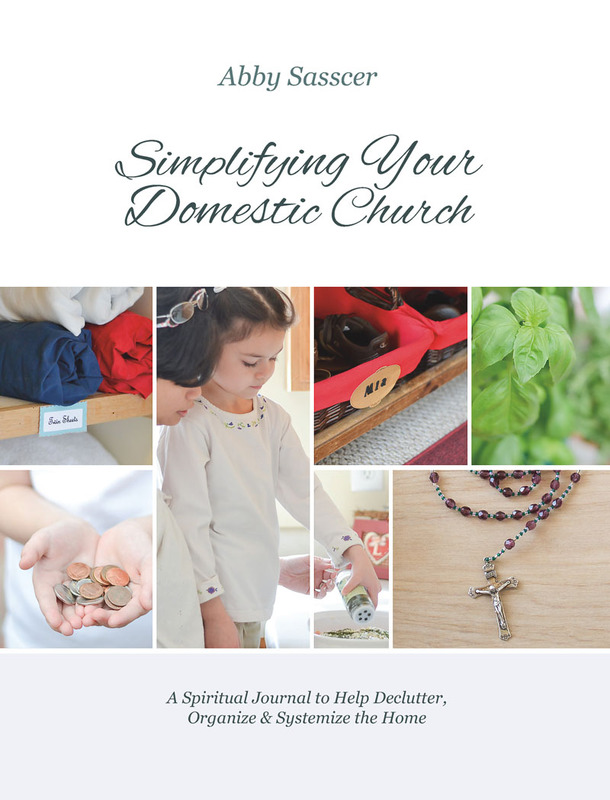 Abby is guiding us through the process of decluttering, or as she prefers to put it, detaching, in order to simplify our homes. The chapter begins with twenty practical tips to help us detach from those items which are unnecessary to life in our homes; that weigh us down both physically and spiritually, that just get in the way or that impede our developing a closer relationship to Our Lord. “Am I going to use this item with Six months to one year? Do I have enough Storage space to keep this item? If your system is climbing over a pile of junk, risking life and limb (I’m thinking of my garage) then maybe you should re-think some things. After carefully reading through the twenty tips there is a place to record your thoughts with some prompts to help out. The process of de-cluttering can be emotional, painful and seemingly endless. As I said, it’s not an overnight thing but rather a change in lifestyle that allows you to live simply and thereby more freely. 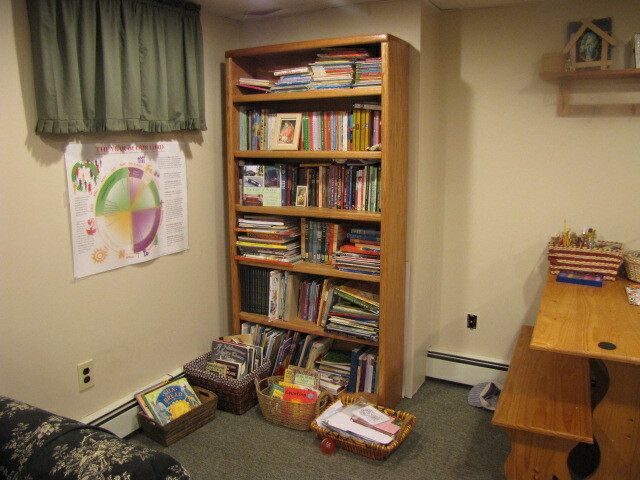 As homeschool mothers it seems almost sacrilegious to de-clutter the books. We save picture books when the baby is twelve in the hopes of someday grandchildren, we think we may “need” them someday or just purely out of sentiment. 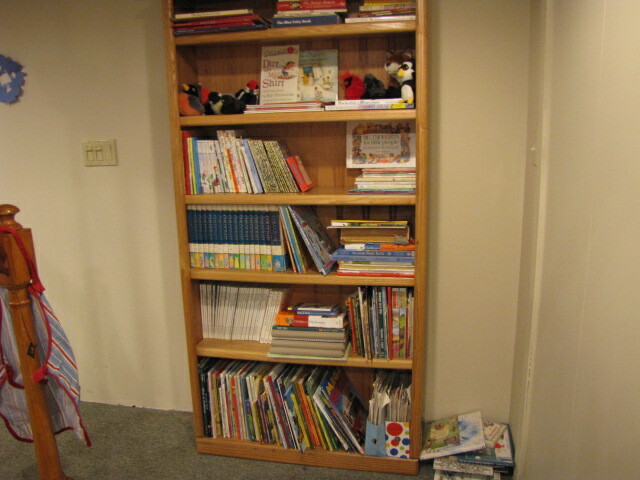 I love my books and I love the memories they invoke, but I also love not dusting and having clean, clear spaces. So a little at a time I am clearing out the books that we have outgrown or won’t use and passing them on to people who will love them. It’s a beautiful legacy when you think about it. 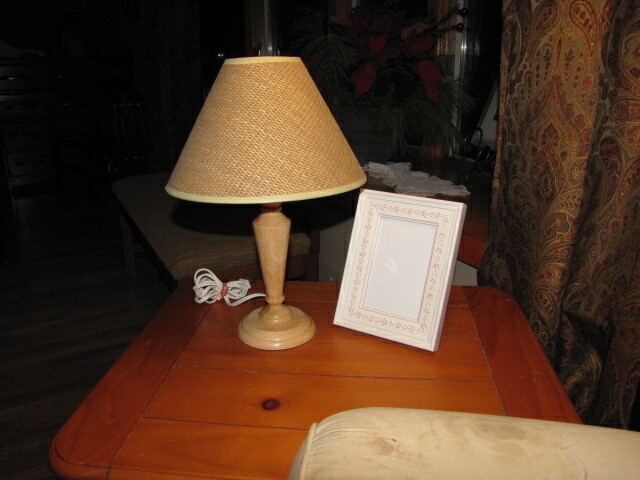 The tattered copies of Goodnight Moon and the Big Red Barn that I have read to eight babies, they stay. The Sandra Boynton books, well loved and part of our family lore, they stay. Danny and the Dinosaur and the other 150 or so others that we don’t hold as dear can go elsewhere and become treasures for others. Kitchen gadgets. I love them. I just bought a spiraler. It’s totally cool, but now I have to make room for it, which means something must go. That small hand chopper I never use because I prefer the food processor? Off it will go. I have found that once I decided that something wasn’t really enhancing my life, it was easier to let it go. Detachment, it happens when you invite God into the decisions. I also watched an episode of hoarders. 🙂 Hey, inspiration is inspiration. Your home is where your soul dwells (along with the rest of you) and a cluttered home can lead to a cluttered interior life so let’s try to de-clutter both, shall we? Next week we will tackle section three (Organizing Your Living Space) and in the meantime, let’s all reflect on where we could most benefit from some de-cluttering and how it will benefit our souls. Let’s take the time, and maybe even make some calls to some charities that pick up, and begin to detach from some of the things that really don’t reflect our lives at this moment and cold be impeding our progress toward simplicity. As an FYI, check out the Veterans Administration, AmVets, Goodwill, Big Brothers and Big Sisters and the Salvation Army. All of these charities will come and pick up depending on your location, and as far as I can tell, do not donate to anything contrary to our faith.